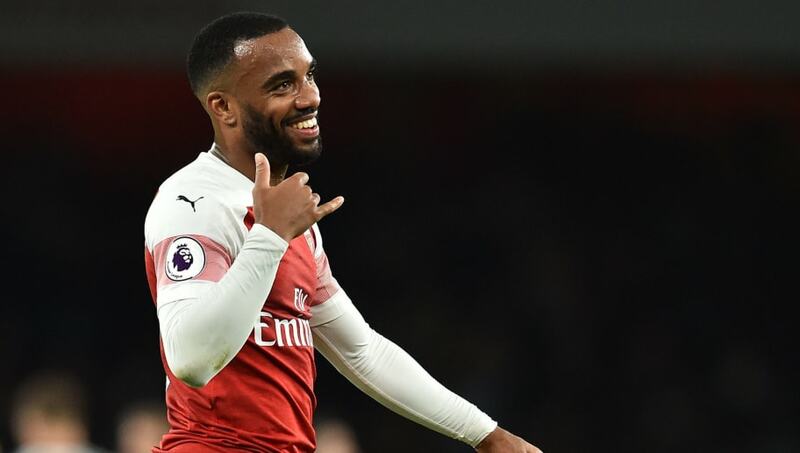 ​Arsenal forward Alexandre Lacazette has insisted his team must secure a positive result in the first leg of their Europa League quarter-final tie with Napoli. The pair are amongst the favourites to claim the trophy in May and meet on Thursday evening at the Emirates Stadium, a venue where the Gunners have performed superbly this campaign. Only champions Manchester City have taken more points from home Premier League games this season. However, they have lost an astonishing eight games away from home this season, so there is an undoubted need to take a big lead to Naples in a week's time. ​Arsenal had to overturn a 3-1 deficit from the away leg of their round of 16 clash with Rennes last month, which they duly did courtesy of a brace from ​Pierre-Emerick Aubameyang and a bullet header from young Ainsley Maitland-Niles. However, ​Lacazette has urged his side to take the initiative at the Emirates. Speaking before the encounter with ​Napoli, he stated (as quoted by ​arsenal.com): "We know we are better at home than we are away, so tomorrow is really important for us. "We also know we can get a good result away, so both games are going to be important for us. Last season we fell just before the final so this time we want to go forward. We have to play well in this game. "On Sunday we played badly [against ​Everton], all the team," the Frenchman continued. "We didn’t do what the coach asked us, but we still have confidence." Lacazette remained upbeat despite the damaging loss to the Toffees, affirming that he and his teammates remain assured of their own abilities. "We know we’re still in the race for the ​Champions League [by finishing in the top four of] the ​Premier League, but we want to win trophies so we are confident," he finished.